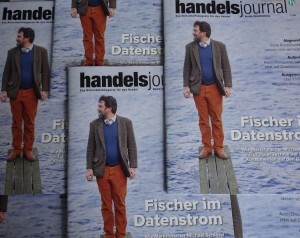 The January issue of handelsjournal has arrived and features eye square GmbH’s Michael Schiessl on the cover. The work of eye square has undergone an extensive resonance in the press in recent months. 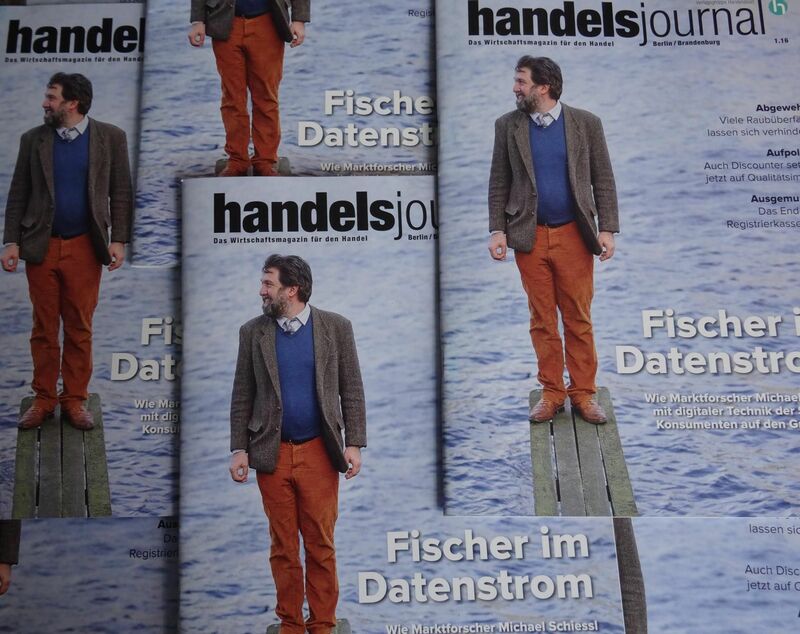 In addition to the oversupply of modern consumer culture, the increasing range of information overload at the point of sale to consumers, Michael Schiessl stated in the January issue of handelsjournal. Advertising and product design are thus equally new challenges in order to attract the attention of consumers for itself. implicit methods for a comprehensive understanding of the highly complex process of purchasing decisions, in addition to the classic survey or focus group, necessary. Because conscious as unconscious Shares determine as it were the decisions of consumers. With the holistic approach “360 ° Shopper Research” combines eye square explicit and implicit methods, enabling a holistic understanding of shopping situations and purchasing decisions. It also detailed 3D visualizations of data from real-Store-studies on the application, further laboratory studies come, eg. To optimize the packaging design, allow.